This issue's article is written by the team at Math Monkey Asia and describes their approach to teaching mathematics. After my meeting with VM some years ago, I realised that the French curriculum was very poor in mental maths, in spite of the official requests to do it at all " ages " of School. Multiplying, or dividing, by powers of ten, was nearly the only technique taught in school. I wondered if VM techniques could be taught during my courses, but VM seemed to be completely unknown in France ! Everything I found was written in English. Nothing in French, except one bad article on Wikipedia. I decided to translate some parts of the books I read to help me structuring my courses as a French maths teacher. The first book I began to translate partially was the Elementary Teacher's Manual written by Ken Williams. Finally, French parents or teachers can download or buy it, in French, to help their children or to teach them how to be a good calculator with fun.
" propose formations for teachers, parents, children, etc.
" and many other ideas which are not available for the moment. We did all that under the name of VAK-Conseil (VAK for Visual, Auditive, and Kinaesthetic which are, at least, the three major ways to learn), a Non Profit Organisation created some years ago to help people learn (whatever they have to learn). It seemed a good idea to include VM. Sarwan Aggarwal did a Vedic Maths demonstration for "Access Bolton", a public service TV in Bolton, MA, USA. This was broadcast on 22nd October, titled "Math from India". Step 1: Digit sum of 3426 is 6 which is the remainder itself. Write it down under the right most digit of the dividend. Step 2: Take away the right most digit of the dividend from the remainder. ie 6 - 6 = 0 , which forms the last digit of the quotient. Write this below the next digit of dividend. Step 3: Take away the next digit 2 from 0, which will be 10 - 2 = 8. Remember that there was a carry operation in this step. So we have to reduce 1 from the next digit of the dividend in the following step. Step 4: The next operation would have been 8 - 4. But since we had a carry in the previous step it gets reduced to 7 - 4. So 7 -4 = 3 forms the next digit. Advantage: Proposed method takes care of the carry by simply reducing one from the next step instead of anticipating as is the case in the normal division by 9 method. Step 1: Remainder is (6 + 4) - (3 + 2) = 5. Step 2: Take away the 5 from the last digit 6. ie 6 - 5 = 1 ,which forms the last digit of the quotient. Step 3: 2 -1 = 1 forms the next digit. Step 4: 4- 1 = 3 forms the last digit. The new teacher training course is over half way now and going very well with lots of fascinating discussions and inspiring ideas. The next course should start in March 2013. We recently got an opportunity to spread the word about beauty of Vedic Maths. Whole of Canada celebrates CultureDays.ca - an annual event where people from all around share & learn from each others rich cultural heritage. We contacted Library of Mississauga (Canada's 6th largest city; near Toronto; where we live) and requested to organize a interactive session on 'Introduction to Vedic Mathematics' - as cultural heritage from India. They provided us a room/projector/etc. and also created poster (see attached) and helped us with the noble cause. "I have been associated with an organization for several years now. Everyone is a volunteer there. I have been teaching Hindi to the generation born here in USA. This year I have started 2 ongoing classes for VM, Group 1 is for students in Grades 3-5 and Group 2 is for kids in Grades 6 and above. I am following the curriculum of VM teachers manual, lesson by lesson. Since kids are attending regular classes every other week, i wanted to start from the basics and have their foundation strong, instead of showing them just some of the interesting techniques. I let the parents stay for the class if interested. At this point, I have ~20 kids in each group. I have taken 2 classes so far. I have covered the history and benefits of VM, history of our number system, ten point circle, By the completion, By the deficiency, By addition and subtraction and doubling. It is amazing how kids take active part in the class, some of them have such a keen observation of the patterns that they go a step ahead of my teaching. Parents have been very impressed with the kids learning and their ability to do homework without parents help. I give out homework based on the worksheets that Mr. Williams have provided us and have kids time them while they are solving. I have also instructed them to do the same worksheet everyday and see the time difference from Monday to Friday. Now the best part--- Parents have been so impressed with the simplicity of the methods that some of the parents applied for the next batch. 3 of the parents from this association have been accepted to the current Batch 4. So, we'll have more teachers to teach VM next year and we can open up more groups." From Sangeeta Ahuja, a teacher in the USA . 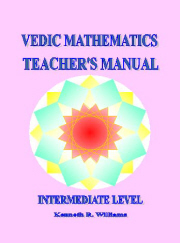 Do you know why every child will be excited to learn Vedic Math? Every child has the gift of a powerful processor called the Brain. Researches by neuroscientists over the last two decades have determined ways on how the brain processes and retains information; how the brain learns. Some traditional learning methods inhibit learning by working against the brain's natural learning system, which is why children dread schooling, score low marks, feel stressed out all the time etc. Recognizing these issues, Math Monkey Asia's game-based curriculum generates children's interest for numbers by having fun; after which they are trained and brains' developed using techniques from Brain-based Learning to learn Vedic Math starting from 4 to 12 years old. Math Monkey uses teaching methods that complement our children's natural learning ability, what we call Brain Based Learning; the Purposeful Engagement of effective Strategies derived from Principles of Neuroscience. In other words, learning based on the structure and function of the brain. Brain learning occurs as long as it is not prohibited from its normal processes. Learning is a process that the brain goes through whenever it comes across something new. It is often sparked off by curiosity and by repeating the effective methods over and over again; the brain masters the new object/situation. Imagine a little baby learning to crawl. He discovers mobility, he explores this by moving his hands, then he tries kicking his legs and finally he realizes moving hands and legs together is an effective method to move forward, so he repeats the action until he masters the art of crawling. Similarly, children who come in contact with Vedic Math for the first time will be curious and surprised at how fast they can derive their answers. They will be exposed to the different relationships between the numbers and they will get to explore it in different forms. Being motivated to win at games, children will test out different ways, to not only getting the right answer but to be the fastest team that gets the correct answer and win. Amidst all the fun, children will learn and master Vedic Math, naturally. At the end of the day, they would have learnt much more than what can be taught. Find the answer for 23 x 11= ? and fish the right answer from the pool with a team of 2 partners. The children need to work with each other to figure out how to calculate 23 x 11? The children need to find the fastest way to calculate. The children in the team need to help each other to calculate and agree on the right answer. They children then need to fish the 3 digits from the pool and arrange them rightly for the right answer. They need to be the fastest team to get right answer to win ! They will learn few ways to calculate, conventional ways and Vedic Math. They will have deeper understanding on the relationship between the numbers and why chose certain way to calculate it. They will also learn how to deal with frustration with their partner who do not understand or disagree (Explore, Test and Repeat). They may not win by getting the right answer because of their partner ! Isn't this is similar in our life? Vedic mathematics is set of systematic principles that mirror the techniques that the human brain uses to find solutions; they trigger the human mind and provide thought directions when solving problems. These principles guide students to simplify problems so they can answer algebra, geometry, calculus and other complex mathematical problems quickly and even mentally. In Math Monkey, students will discover the various approaches to solving mathematical problems and can choose the one that best suits them. Our brain has massive hidden potential and using Vedic Math techniques; Math Monkey hones children brains and uncovers their hidden potential in the most natural way. The nature of learning Vedic Math allows for the implementation of Math Monkey's Brain based education to train the 5 main brain abilities. The curiosity to find the fastest way to solve the question will get the child's Attention to pick up right information to apply Vedic Math techniques. As every child is different, the various techniques allow them to choose the one that comes most naturally to them, helping them learn and remember better. Math Monkey teaches Vedic Math in a flexible and simple manner; hence it encourages innovation among the better students while its simplicity enables the weaker students to understand the basic concepts of Mathematics. Children will love math at Math Monkey !